tolle Bildaufteilung, auch der Mix von Schärfe und Unschärfe hast Du toll gemeistert. Ein Bild auf dem der Blick länger verweilt. Nice PoV and very beautifully composed…! 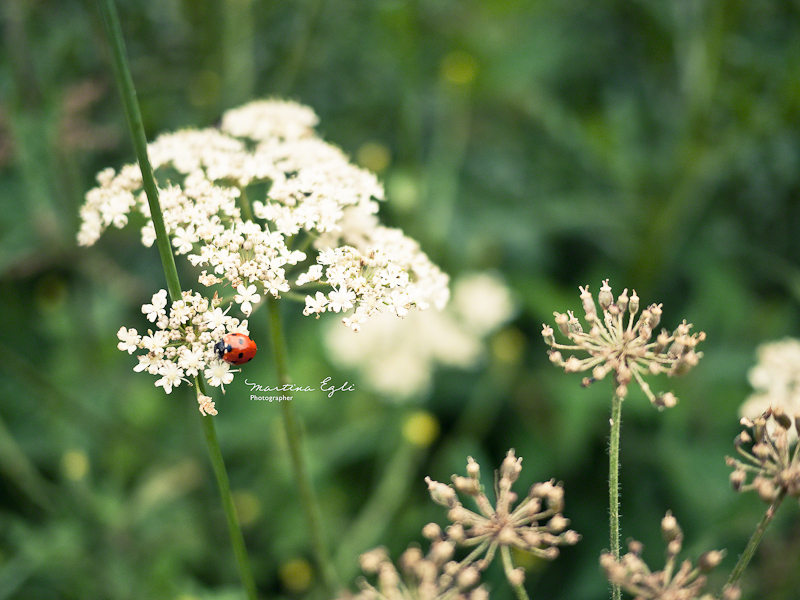 I love this pastoral composition of the lady bug among her favorite flowers. The red and green are an especially nice color combination. I always love the tones in your pictures, and this one too is so full of life like others. That little splash of color the ladybug makes really is what makes this image. The Canadian side of my family call them Ladybugs, whereas in the UK they are Ladybirds, but no matter as they are nature’s little jewel either way. A lovely composition that works so nicely here. Subtle tones and Mother nature’s beauty in the animal and flower kingdoms, what could be better. Quite a beautiful and calm picture. A very nice summer shot of the little ladybird.